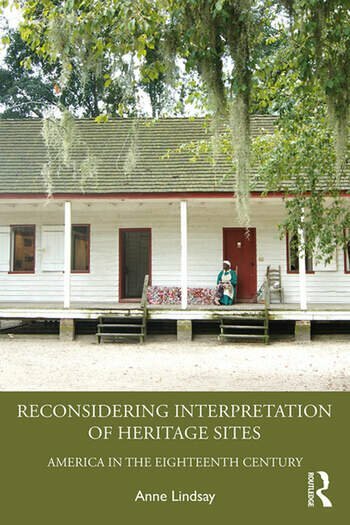 Reconsidering Interpretation of Heritage Sites chronicles and problematizes the representation of the Eighteenth Century in museums and heritage sites, whilst also challenging public historians to alter their perceptions of what might be possible when interpreting such sites. Much of the history consumed at eighteenth-century historic sites is one-dimensional, white, male, heteronormative, and very focused on power and wealth. Anne Lindsay argues that this narrative may be challenged through an engagement with the everyday life of the past, creating thought-provoking and challenging experiences that will connect with the modern visitor on a deeper level. Unlike other work that has been done in the field, the book provides a constructive study that engages in a horizontal analysis of a century over a geographic region. As a result, Lindsay provides a unique opportunity for scholars and practitioners to reflect on the types and tone of messages usually conveyed about the Eighteenth Century. Reconsidering Interpretation of Heritage Sites will be invaluable to scholars and practitioners working in the fields of museum and heritage studies and history. It will be particularly interesting to those who want to know more about how the lived experience of the past may be interpreted at historic sites, and how this could be used to engage with contentious histories. Anne Lindsay is an Assistant Professor of history and coordinator of the Capital Campus Public History Program at California State University, Sacramento. She holds a PhD in Public History from the University of California, Riverside. Her research considers eighteenth-century heritage tourism for twenty-first century audiences. As a practitioner, she works in historic preservation and heritage tourism. She lives in northern California with her husband and three furry research assistants.